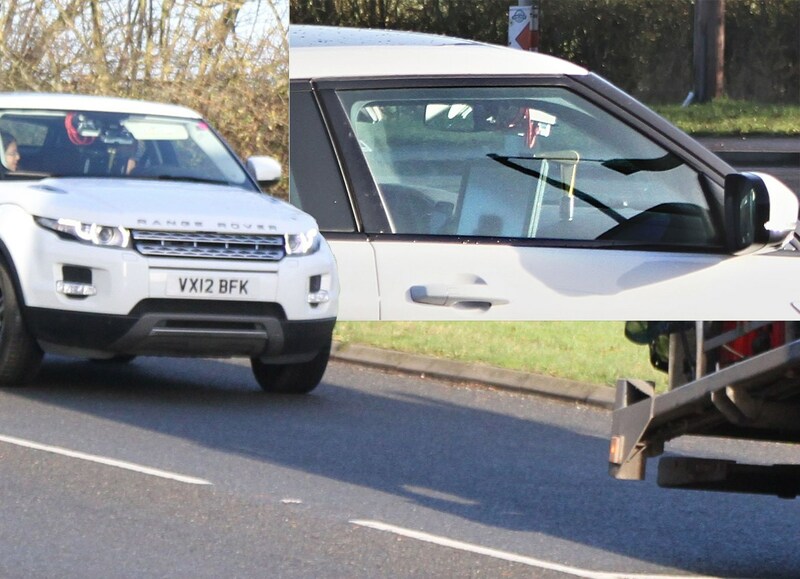 Are they testing Jaguar Land Rover's new virtual windscreen pillars, we wondered, when we saw this Range Rover Evoque prototype festooned with digital cameras and instruments the week after the clever-clogs see-through metalwork was announced. Sadly, we were wrong. It turns out that this Land Rover is testing the latest Evoque's new Autonomous Emergency Braking system. The self-braking software was released on the 2016 model year update to Land Rover's popular Range Rover Evoque. The system uses sensors - seen here in prototype validation testing - including cameras and radars to detect the environment around the car. If they can corroborate a certain impact ahead, the car will brake itself in attempt to prevent the accident, or at least mitigate it so the entry speed is lower - in a bid to reduce injury. So the reason this Evoque is doing a passable impression of a Cambridge University science laboratory is that they're fine-tuning the system to ensure all the algorithms and hardware systems are doing their thing correctly. We just hope the engineers in question weren't trying to ram the car transporter in front to test the new Autonomous Emergency Braking system! Remember you can send us YOUR spyshots by following the instructions here.